The Internet of Things has made home security faster, simpler, and more effective; but what it didn’t manage to do is make it cheaper. Just take a look at the security or home surveillance cams that are on the market today. You’d be hard pressed to find anything below $150, and those that are priced within that price range are often unreliable and sub-par. Video monitoring shouldn’t have to be so expensive. A great way to keep costs at the minimum is to avoid buying new hardware, and instead just use the existing hardware that you already have (like old smartphones, tablets, computers, and IP cams) as monitoring devices. Though the idea might sound far-out, Camio proved that it can be done. Carter Maslan, CEO of Camio.com is here to tell us how. Thanks for taking our invitation, Carter! Let’s get this started! It’s refreshing to see a home security solution nowadays that does NOT rely on expensive hardware. Startups would normally get a generic IP cam, slap a few IoT gimmicks on it, and call it day- but Camio actually took the opposite route and instead focused solely on just the software itself. Our question is: where did this idea came from? 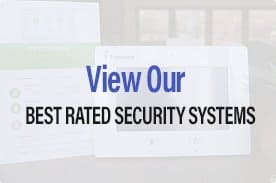 What inspired the development of Camio into this very innovative and comprehensive home security solution that it is today? Our focus on software came from wanting real-time video to be really useful no matter where the video came from. We asked ourselves, will there be a) one type of camera in the future or b) many different types of cameras? Clearly (b). Then we looked at the Machine Learning and Computer Vision required to make cameras smart and realized that cloud-assisted software was the fastest path to delivering a great user experience. That’s interesting to hear, Carter. Can you share how the early development stage for Camio went? The creation of video-recording software is one thing, but making that software do things beyond simple recording is another matter altogether. What were the roadblocks or problems that you’ve faced in making all of Camio’s features come together? We weren’t even sure whether the intense computation power required for smart real-time video monitoring was feasible at a consumer price point. We had to learn fast. But the firmware of many standalone IP cameras lacked basic support for HTTP and SSL for collaboration with the cloud, so we focused first on turning Android, Chrome and iOS apps into cameras so that we could iterate quickly without waiting for camera firmware upgrades. Those early iterations with app-based cameras taught us a lot about what’s needed to deliver delightfully smart video at very low cost. We also learned that Camio was a successful product of angel investing. When almost every other startup in the industry go the crowdfunding route, this is a breath of fresh air. 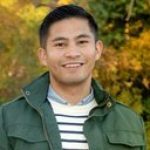 What are the reasons why Camio chose to get funded this way? Crowdfunding is a great way to confirm customer demand while raising money. We had customers for over a year before our Angel funding, so we wanted investors that were also very good advisors. Any tips for young startups on how they can successfully find angel investors for their business ideas? Angel.co is great. But it’s really hard to get funding for an idea. You have to build something that’s working, then raise money. We appreciate you sharing that, Carter! Now we move on to Camio itself, its nuts-and-bolts and all of the fun stuff that goes under its hood. So, as we pointed out earlier, Camio isn’t just a simple home monitoring/video-recording software. It has an advanced machine learning algorithm, which means that it can ACTIVELY LEARN what its users’ preferences are, and adapt accordingly. The geeks among us here are really curious as to how this technology works. How exactly does Camio adapt to a person’s habits and behavior? How does it improve over time? Camio first eliminates all the pixel motion that’s insignificant. For example, a breeze will cause leaves to shimmer, grass to move and shadows to be cast on your walkway. Camio learns to filter that pixel motion with its Adaptive Motion Filter that adjusts to each particular camera’s view throughout the day. Then, Camio extracts features from the objects moving in the scene (e.g. size, color, direction, location, …) to feed about 10 concurrently running Neural Networks that are competing to predict what you will find interesting. Camio learns what you find interesting by the way you use it. For example, a video event is likely important to you when you share it, save it, or play it. It’s likely unimportant when you delete it or skip it while viewing adjacent events. Then, for super-fast training, you can give a thumbs-up or thumbs-down rating as explicit feedback that enables a camera to become smart with as little as 13 pieces of feedback. 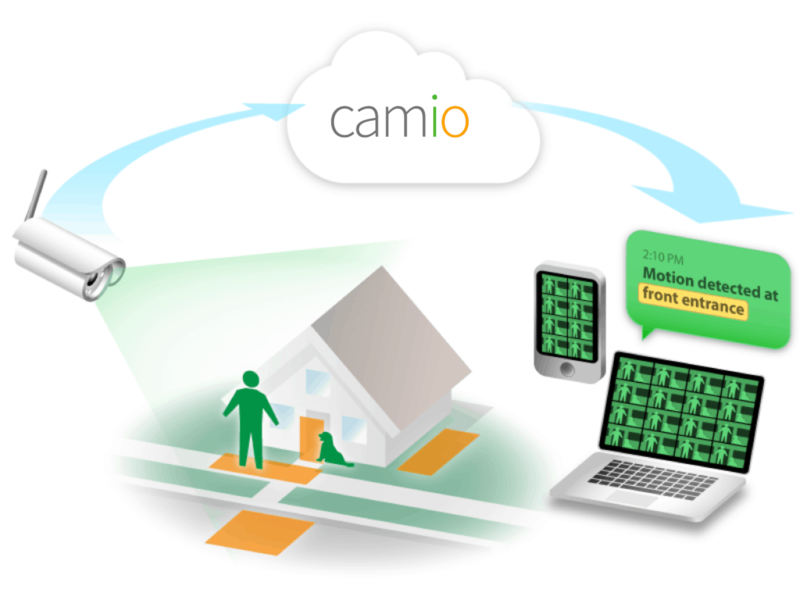 Let’s take a hypothetical customer A and see how she sets up her own DIY home security system using Camio. So, Customer A, who works a 9-to-5 job, has two old Android phones and an iPhone 5 that she doesn’t use anymore. She wants to turn these devices into indoor surveillance cams using Camio. She also has two pet dogs, so there is a lot of movement inside her apartment even when she’s not there during the day. Can you walk us through the steps that she will need to successfully implement an indoor home surveillance system using Camio? What is the recommended set-up for our Customer A? To get smarter alerts, she’ll create zones like “dog bed” or “entryway” by drawing with her mouse around the region of interest using her Web browser. Then, when she does a search like [dog bed] or [people approaching entryway], she can “pin” the search for it to become a trigger for alerts. She’ll receive a push notification or email whenever an event happens that matches the pinned search. After Camio records for a day, she can give a quick thumbs up/down to the video events so that Camio learns quickly to identify the types of events she cares about. Her Camio Daily email will even feature the top 4 most interesting events automatically. Wow, we’re very impressed with what you’re teaching us today, Carter. But what about security? If someone manages to enter our house and fiddle with the devices that we’ve set-up, will our Camio network be compromised? An intruder could steal her cameras, but the video of the intruder will likely be off-site in tamper-proof, encrypted cloud storage already. One nice security feature of Camio is that the cameras can record using only and “Upload Token” that has no access to content in her Camio account. The Upload Token grants permission only to upload content. Since there’s no username and password on the camera, her recorded content cannot be compromised. One technical note: the Android app has an auto-restart feature that ensures the recorder stays active even after interruptions from system messages. But the iOS app should use Apple’s Guided Access feature to lock the device while Camio continues to record. That’s comforting to know! And another thing, Camio promises “precise alerts” when it comes to reporting. So our question is- how precise? Other home security systems often send out false alarms a lot. How will Camio know which events are relevant and which are not? Camio learns with your feedback. You can even give a quick thumbs up/down from the Android push notification window when you receive the alert like this one of a person entering the Camio office. There may still be some false alerts (about 5%), but it’s so fast to glance at Camio that even false alerts don’t feel as intrusive as systems with tedious playback of video clips. 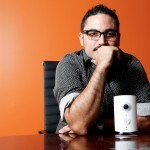 We saw that you’re actually partnered with other popular security solutions like Dropcam and Nest Cam, which is awesome. Will Camio make any more partnerships of the same sort in the near future? We’d love to hear about your company’s future plans, if any. Camio aims to work with everything. In fact, we’re releasing a new product that works with any camera or NVR providing an rtsp video stream. It’s called CamioBox and it enables smart video monitoring to be 5x cheaper. You can learn more at //www.camio.com/box. Thanks for your answers, Carter! Camio’s machine learning capabilities are impressive and we’re itching to try it out ourselves. Do you have any discount codes that our readers can take advantage if they wish to own Camio? Camio already delivers 30-day video history, smart search and alerts at the very lowest price possible. And everyone gets Camio Plus free for the first 7 days and an additional 30 days free each time they invite a new Camio user. Enjoy! We really love to know what you think about this product, so if you have comments or suggestions, just post them below!